Nanomotion offers evaluation kits for some of our most popular solutions. The purpose of these evaluation kits is to provide a platform to demonstrate motion capability. 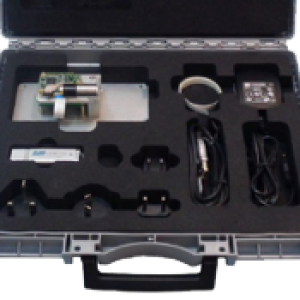 The Evaluation Kit consists of a linear or rotary axis (or shutter), along with our XCD drive & control board, Nanocommander user interface, IIC programming cable and power supply. Each kit is a closed loop axis that will help users demonstrate specific motion profiles and capabilities, as an application development tool. Evaluation kits also help our customers in developing the programming scripts via the IIC interface.